Pink Shoe Power™introduces you to a ground breaking approach to time management which allows you to reclaim control over your time so you dump thatoverwhelm feeling and start achieving your dreams and goals. Traditional time management systems are flawed because they don’t solve the time issue and give you permission to be yourself. No wonder so many of us struggle with alleged ‘never fail’ strategies! They take a one-size-fits-all approach. As any woman knows, just as with shoes or some colours, the same thing doesn’t work for all of us! 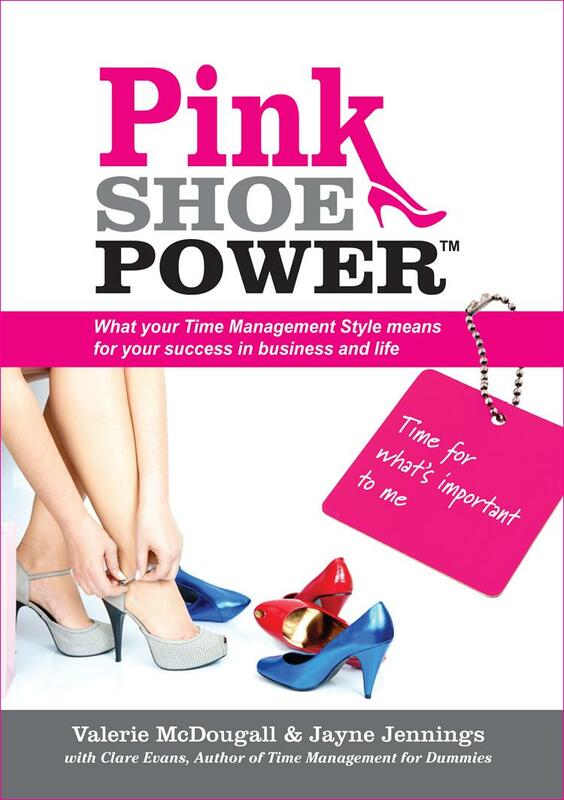 Pink Shoe Poweroutlines the 5 Time Management Styles™, gives the strengths and challenges faced by each of the major Styles, then outlines strategies and tools that work for the different Time Styles. Even better, it gives real life case studies so you see how knowing your Time Style works. It helps you work with others—and understand more about yourself. whatyou need to do to get the most out of your time, every day.